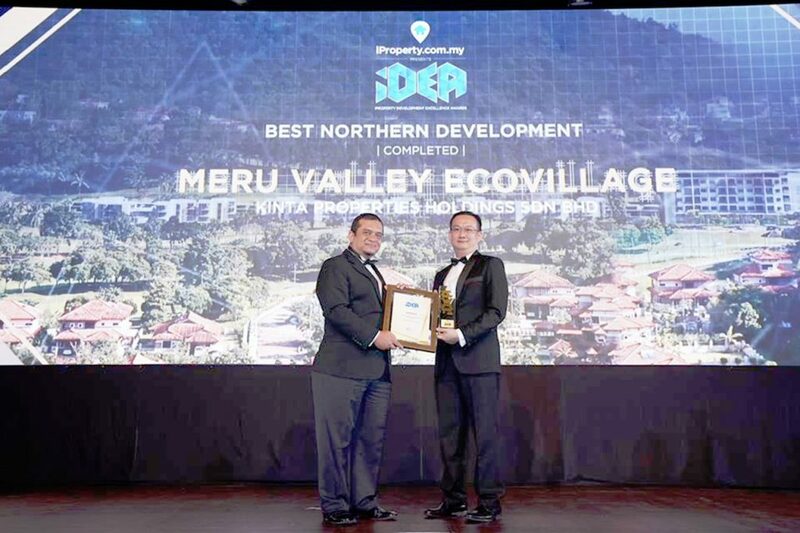 Meru Valley EcoVillage in Ipoh was awarded Best Northern Development at the iProperty Development Excellence Awards (IDEA) held at Majestic Hotel, Kuala Lumpur on Thursday 15 November 2018. 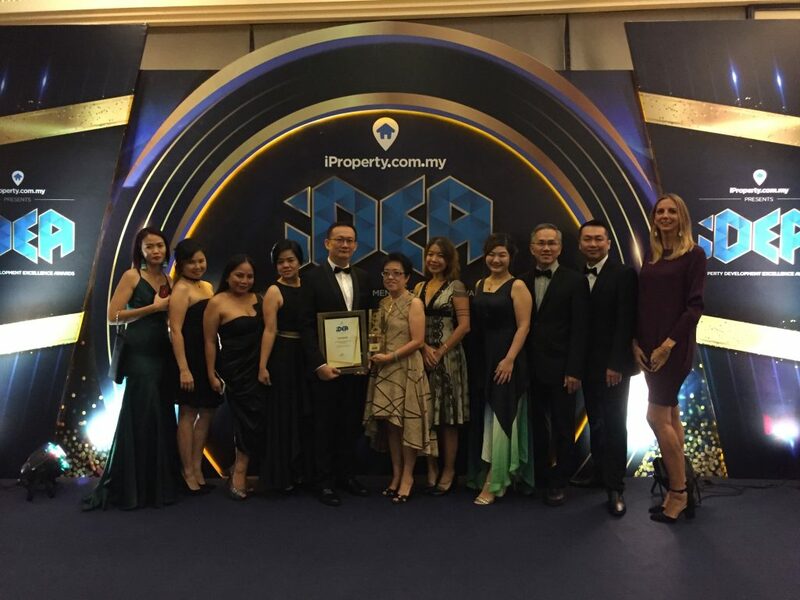 The evening was a celebration of all the very best homes and developments the industry has to offer across Malaysia, with the guest of honour Minister of Housing and Local Government Zuraida Kamaruddin. Meru Valley EcoVillage offers three main types of residences, single storey villa, townhouse and low-rise apartments, all completed and attracting an internationally diverse group of Malaysians, expats and long-stay tourists. Among the many benefits of living in Meru Valley EcoVillage are a 27-hole championship golf course, access to healthcare, wellness spa, restaurants, security and a host of green credentials. The homes have been designed in keeping with the environment and making life easier. The sustainable-focused village features rainwater harvesting systems that recycle rain for external use; high-level windows that allow natural sunlight and ventilation; and solar heating systems that save energy. Sunscreen louvres and deep roof eaves are used to block the sun, while innovative roof ventilation systems reduce energy costs. 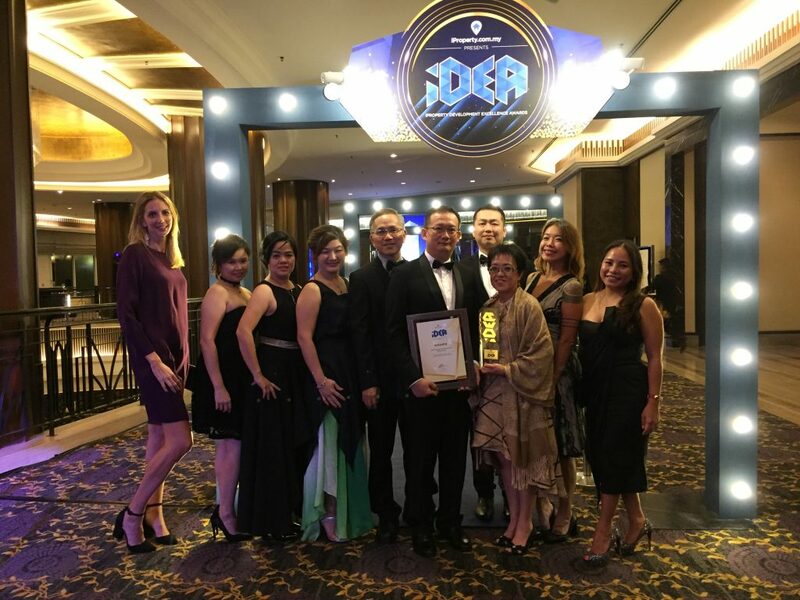 Collecting the award Meru Valley Resort Executive Director Edwin Tan said: “This award is a great endorsement for the team, the residents and the future buyers of the limited homes that remain. “We are proud to showcase Meru Valley EcoVillage, a mixed development that is built on a philosophy that a place should be designed for everyone with everything you need to live well. Residents enjoy the relaxed and safe lifestyle, open spaces, convenience of amenities and they always comment on the friendliness of the staff and the supportive community. “There’s access to a wide range of wellbeing and health facilities, a medical centre with GP, specialist gym, spa rooms, hairdresser, restaurants and 27-hole golf course and driving range. “This is a place for young families and older people. This vibrant village is about challenging the segregation of old and young people, providing a new living option and creating a new attitude toward ageing and well-being in Malaysia. Government statistics show that Perak is the oldest state in Malaysia, with 14.9% of its population aged 60 and above. With people living longer, property developers have an opportunity to make a difference and activate communities. “When it comes to the environment, wellbeing and making life easier Meru Valley EcoVillage has it covered”. The village is designed to provide a comfortable and quality lifestyle that is close to nature, overlooking the Kledang Saiong Mountain Range and located only ten-minutes from Ipoh city.